Couples seeking one-of-a-kind handcrafted wedding rings often escape to the web’s most popular retail hub for artisan jewelry—Etsy. With seemingly thousands of artists, designers and jewelers selling their pieces via independently run virtual stores, buyers have a bountiful catalogue of custom pieces at their fingertips. 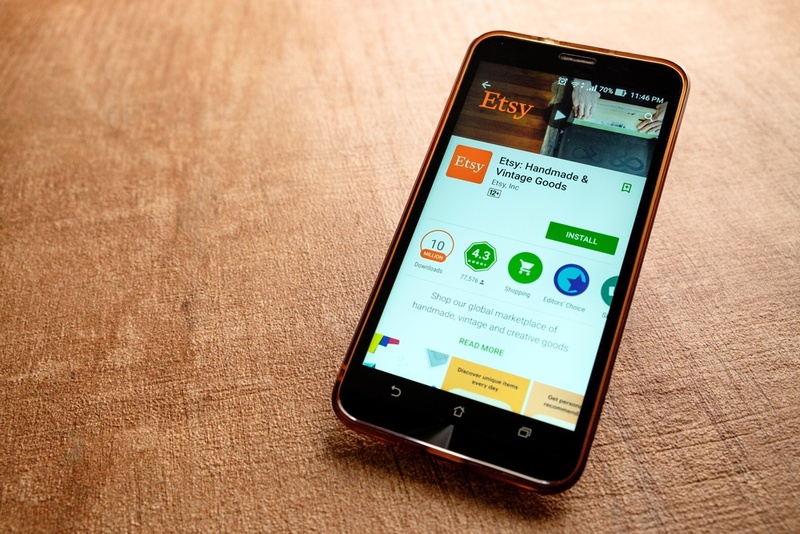 Browsing the stores on Etsy helps buyers discover personal tastes and style. However, the prices can vary greatly on the site. Every store–and every store owner–also may handle returns and repairs differently. For couples who gravitate toward the unique and whimsical designs from Etsy artisans, discover rugged and romantic handcrafted wedding ring styles from Brilliance that offer the same indie artisan edge. An added bonus? Brilliance secures every ring with two promises: a 30-day love-it or replace-it return policy and a lifetime guarantee. Why choose one metal when numerous types and colors may be stacked to create an elegant and funky wedding ring? Go crazy with design shape and choose a squared off band design to add to the artistic intrigue. Stacked metals create a wearable sculpture. Rings that combine multi-metaled layers make it hip to be–or wear–a square. 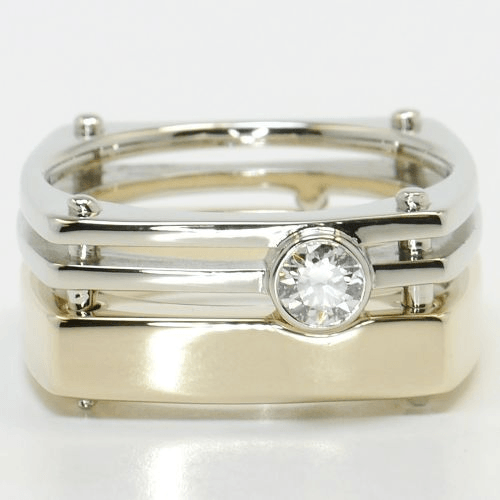 A custom-designed white and gold square stacked wedding band features avant garde white gold rods to join two square bands of white gold with a bottom band of yellow gold. For an extra bold addition, a right-flush bezel set 0.3 carat diamond lends an ever-watchful and sparkling focal eye. 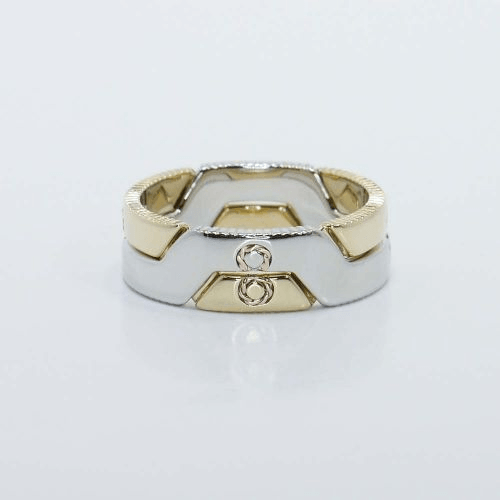 Rings that piece together to form a cohesive design symbolically showcases two becoming one. Puzzle rings also nod to a man’s sense of humor and casual fun lifestyle. When worn apart, puzzle bands showcase geometric interest in their design. The interlocking sections are grooved, squared-off and, when worn alone, elicit an edgier personality than the typical domed band. Show him that the vows are forever–and that he is the missing piece to your picture of true love–by exchanging interlocking puzzle piece wedding rings that combine to form the symbol for infinity. Select contrasting metals like white and yellow gold for an elegant and creative combination. Diamonds signify prestige and power. 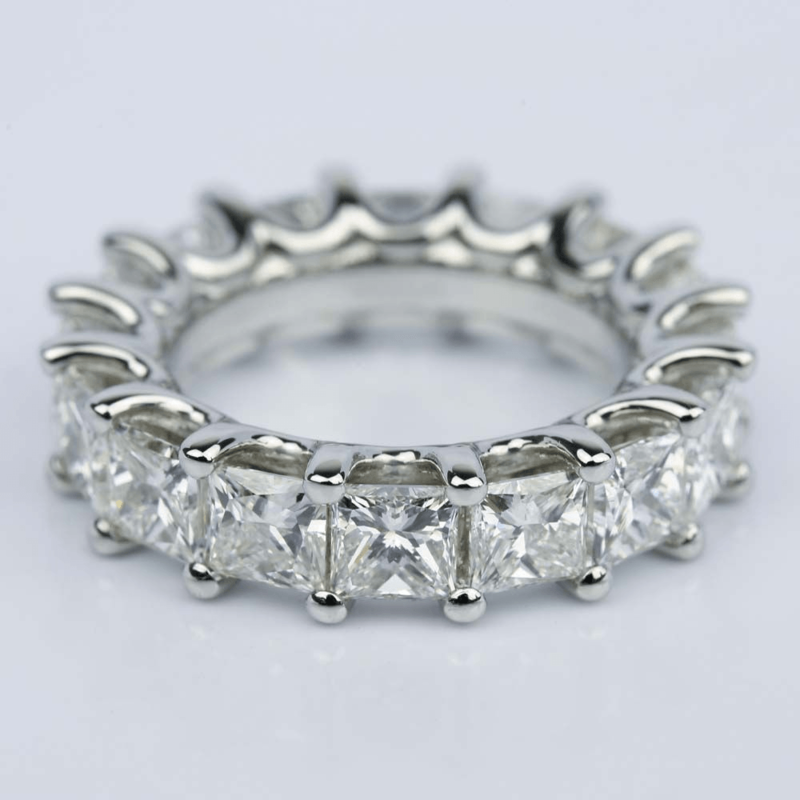 Give him a band glistening with a perfect partnership of casual calm and bedazzling brilliance. An artisanal structured band accented with diamonds takes him from the boardroom to date night. Bands that sparkle are ideal for the man who is all about style…and luxury. He wants the best that the world has to offer, and he spares no cost. Create a crown for Mr. Right’s left hand with a ring that holds a spectacular collection of diamonds. 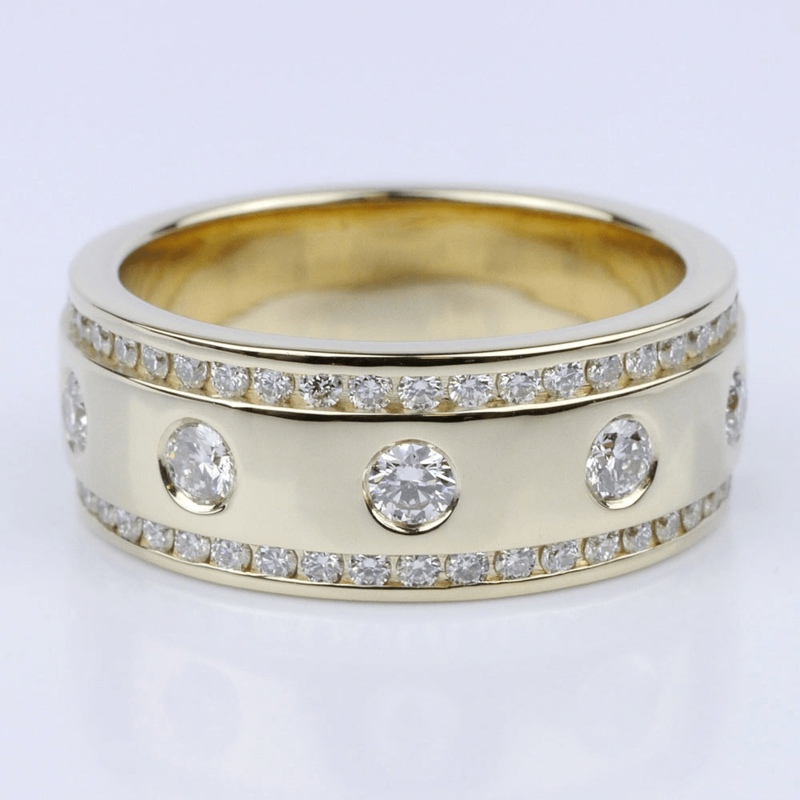 A stately yellow gold wedding band edges up its significance with borders of diminutive diamonds around the top and bottom edges of the band. The center of the band features bezel set diamonds displayed in an eternity pattern to create never ending interest. Inspiration on Etsy seems infinite when shopping for her artisanal wedding ring. Simple etched gold bands, details of diamonds and amazing hand-crafted creations might keep the mouse scrolling screen after screen. However, handcrafted luxe and diamond-etched Brilliance is right at your fingertips…here and now. So start scrolling! For women, faceted wedding bands provide a hammered appearance…with a softer name.The style is exactly as its name declares…a simple faceted (or hammered) metal band that offers a distinct artisan touch. The ring can be chunky or a dainty sliver of gold, platinum or silver and pairs perfectly with any engagement ring. Brides who crave more luxe can choose a hammered hand-crafted band with a bejeweled upgrade. 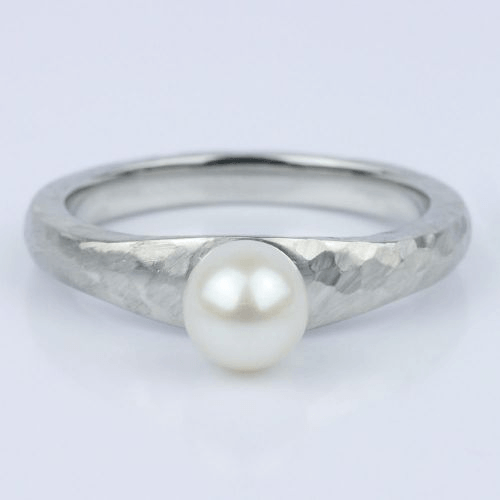 A hammered finish platinum band holds a solitaire pearl for a simplistic wedding ring that also may serve as a dual engagement/wedding ring for those who opt for absolute minimalist elegance. Go big on a wedding ring that sizzles with fire and choose a ring with endless diamonds. There are no rules when it comes to the perfect diamond; some women want round, some want princess, others hearts. Diamond options are tremendous. The artisan trend in some wedding band designs features ‘salt and pepper’ diamonds. However, these lower-grade diamonds don’t elicit fantastic sparkle. They look unique, but ‘salt and pepper’ speckles detract from the diamond’s potential and magnificence. The diamond is nature’s pure and perfect gemstone masterpiece–so go beautiful, go bold and go for quality. To amplify the wow factor, select an eternity band with 10 carats of princess cut diamonds nestled in platinum. Artisanal inspiration abounds on Etsy. Peruse the site for ideas and creativity. However, when the time comes to create the perfect design and make the once-in-a-lifetime purchase, artisanal handcrafted edge and quality should always be imagined and created with guaranteed Brilliance.